Dressed in happy colors and a bit of insight this set of mugs adds a bright start to your day. 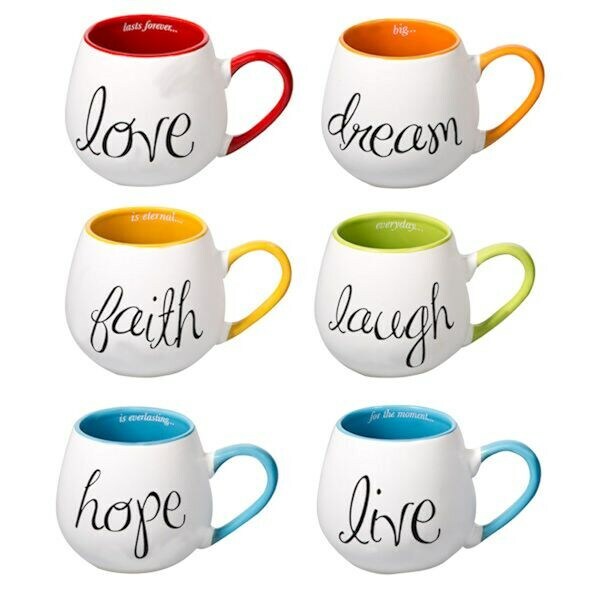 Delightful set of six is perfect for everyday or as a gift. Dishwasher and microwave-safe ceramic. 17 oz.